The 2016 session of the Indiana General Assembly may be short in time but, as usual, there is a long list of important issues. In outlining his priorities in the State of the State speech, however, Gov. Mike Pence fell short in four key areas. First is civil rights expansion. After appropriately listening to Hoosiers since last spring’s public relations crisis, the Governor failed to articulate a clear vision. His words, depending on interpretation, bordered on telling legislators to do nothing at a time when action is needed. The Indiana Chamber went through a similar lengthy listening process as public policy committees, the executive committee and the full board of directors (all comprised of representatives of member companies) debated the issue. Once a final determination was made, the Chamber communicated the decision that the members had voted to support the expansion of civil rights to protect sexual orientation and gender identity. Although not popular in all circles, similar clarity was needed from the Governor. In the critical area of infrastructure funding, the Governor advocated against the only long-term solution presented thus far because it included several responsible revenue increases. As an organization that works each day to create and maintain the best possible business climate, the Indiana Chamber does not go looking for tax hikes. But in this case, they are necessary. Third, on education, the “let’s take a step back on ISTEP” remark goes too far. 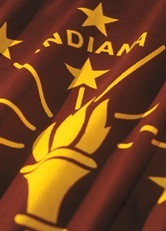 Indiana already has a new test that measures our new, stronger standards. The test needs rebranded, not revised, and administered correctly to achieve the desired results. Finally, there was no mention of work share, a common sense program to support employers and employees in an economic downturn. It will be needed at some point and the best time to implement it is now. The Indiana Chamber has and will continue to communicate with the Governor and his staff our positions on these issues, which we believe are in the best interest of the state’s economy, employers and workers. This entry was posted in Education, Government, Indiana Vision 2025, Transportation and tagged civil rights, highway funding, indiana, istep, pence, rfra, work share by Kevin Brinegar. Bookmark the permalink.